This dress makes us all want to go on vacation! 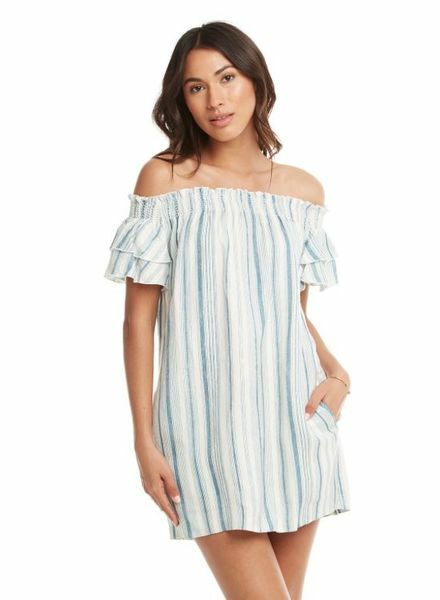 The off the shoulder look adds that extra detail we all know and love. Flowly and comfortable, it is perfect for those hot summer days.